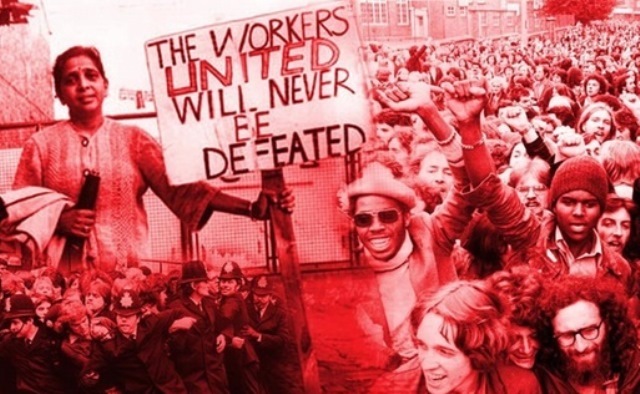 It's been 40 years since the Grunwick strike ended. On this day in 1976, six Asian women workers at Grunwick factory walked out in protest over the sacking of a fellow worker. The strikers were challenging racist and sexist abuse, and poverty wages. Last week’s demonstrations showed that to tackle the far right, the traditional left has to give way to grassroots activism, writes Shaista Aziz and Asad Rehman for the Guardian. Responding to votes on scrutiny of trade agreements in the Trade Bill, senior trade campaigner at War on Want Jean Blaylock, says: “Democratic oversight of trade is not rocket science. MEPs in the European Parliament and members of Congress get an automatic vote on trade deals. Why shouldn’t MPs? "Today’s concessions by Liam Fox fall well short of taking back control." “A world that faces the multiple crisis of inequality, climate change and war requires solutions based on justice and solidarity. The politics of Donald Trump offer nothing but bigotry and hatred, sacrificing the poorest and most vulnerable to the interests of rich elites. Join us at the Carnival of Resistance.